The following is a letter I received from a Christian “friend” in Israel who has asked to remain unnamed. I thought some of you might be interested in some of the practical things that go into the preparations for Passover in Israel. Happy Holiday! “Hag Sameach” literally means ‘holiday happy’ in Hebrew. Even though Pasach (Passover) doesn’t start until the Eve of March 30th, the main greeting here in Israel now is “Hag Sameach.” Today, as I was at the grocery store, I could see the shelves being emptied where the things with ‘leven’ used to be. They let the things sell out and will not buy anything with leven in it until after Pasach. So I could not buy my soy milk today; they are already out. Anyway, everyone is preparing, cleaning their homes (probably where ‘Spring Cleaning’ came from) and washing their cars. The price to wash your car is now 50 shekels instead of 40 shekels. $2.90 more because of the holiday. I found out when I washed my car today! It’s an exciting time to be in Israel! Also, Christians in the ‘Holy Land’ and from around the world will be celebrating Palm Sunday and Easter Sunday. I took (a) picture on a Palm Sunday where people were celebrating by waving Palm branches and singing in their own languages as they walked the path Jesus (Yeshua) took as He rode the donkey into Jerusalem. May our Lord bless you as you remember His love for you during this amazing season. “Hag Sameach” Hoping you have a blessed holiday! Nisan, the first month on the Jewish calendar (according to the Torah), coincides with March-April on the civil calendar, which marks the beginning of the spring months. On the first day of Nisan, God instructed Moses, “This month shall be for you the beginning of months, the first of the month of the year” (Exodus 12:2). 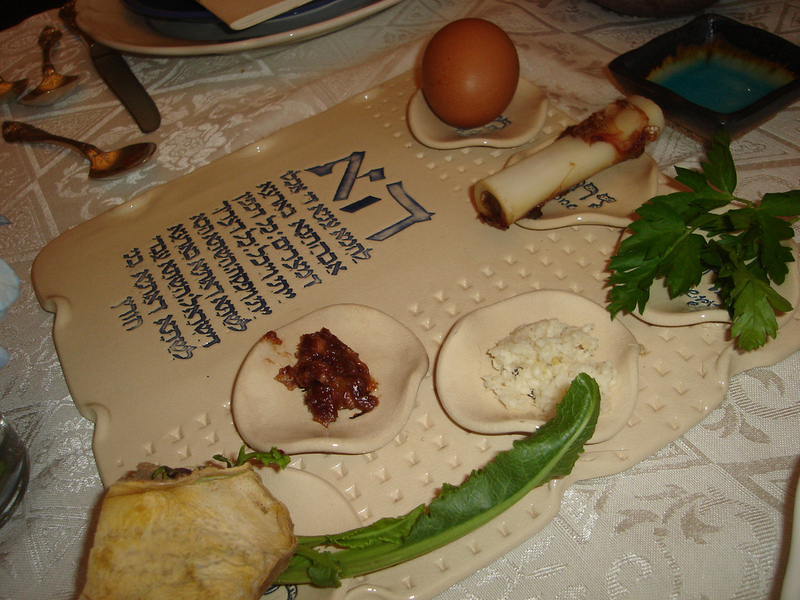 This month we celebrate the 8-day holiday of Passover, from the 15th through the 22nd of Nisan. It commemorates the Jewish people’s miraculous redemption from slavery in Egypt, and the birth of the Jewish nation. We will not see a year change for the Hebrew calendar until September 10th 2018, 1 Tishrei 5779, the Rabbinical New Year. In Israel everyone is preparing for the coming celebrations, it is during this time that the Jewish people are looking to God and remembering His blessings. He brought His people from slavery to their homeland, where He will be glorified. This is a wonderful time for us to be praying for the Jewish people to come to know His love for them and for us to seek His blessings in our own lives. Some of you will be waving palm branches this Sunday as a reminder of our Lord’s entrance into Jerusalem. Christians remember the resurrection on a daily basis but it is important to know about the last week of Jesus’ journey here on Earth. Each of the gospels spend quite an amount of time on it so it must be of great value. A Muslim resident plowed into a group of soldiers, killing two and critically injuring two others. A 32-year-old father of four who worked as a security guard at an excavation site in the Old City, succumbed to multiple stab wounds to his torso. The IDF destroyed two terrorist tunnels leading from the Gaza Strip into Israel. Netanyahu said, “The time has come for the International Community to realize that the financial aid given to Hamas is being used underground.” The people continue to suffer in the Gaza Strip due to lack of medical aid, electricity and water, which their Government is expected to supply. An Israeli man was injured after he accidentally entered a Palestinian Authority-controlled town near Beitar Illit south of Jerusalem. The man, who was driving on a motorcycle, took the wrong exit, and found himself in the Palestinian town. He was attacked by rock-throwing terrorists and suffered a head injury. IDF forces were dispatched to the scene and transported him to the hospital. There are, of course, larger forces at work plotting the destruction of the tiny little nation that God has an everlasting covenant with. Jews continue to return to the land in spite of the dangers they face from surrounding nations. It is amazing to watch. One thing is clear; Israel will never be destroyed. It is one thing you can take to the bank. Uh..I’m not so sure about how secure that is these days though.